Our strip stickers make beautiful seals for gift wrapping or envelopes for a special touch. They embellish cards and invitations and make fun materials for collages. The stickers match each of our our patterned paper series, in this case MARLIES, but look just as beautiful on neutral brown craft paper. Each pack contains 4 sheets of stickers in two different sizes, 2 sheets each per design. 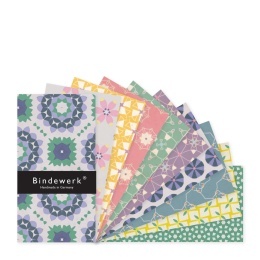 Strip stickers, matching our patterned paper from the JACKIE series. 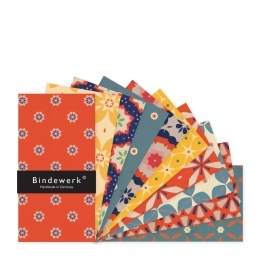 Beautifully patterned envelopes in a wide format made from papers from the SUZETTE and HENRIETTE series. 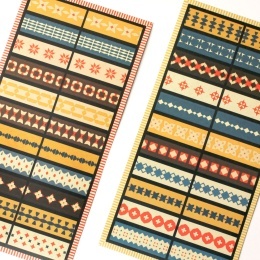 Beautifully patterned envelopes in a wide format made from papers from the JACKE+MARLIES series. 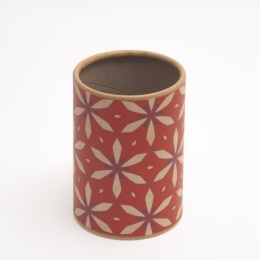 Decorative pen holders for your desk covered in patterned paper from the series MARLIES.